Beautiful home on wooded acreage lot. 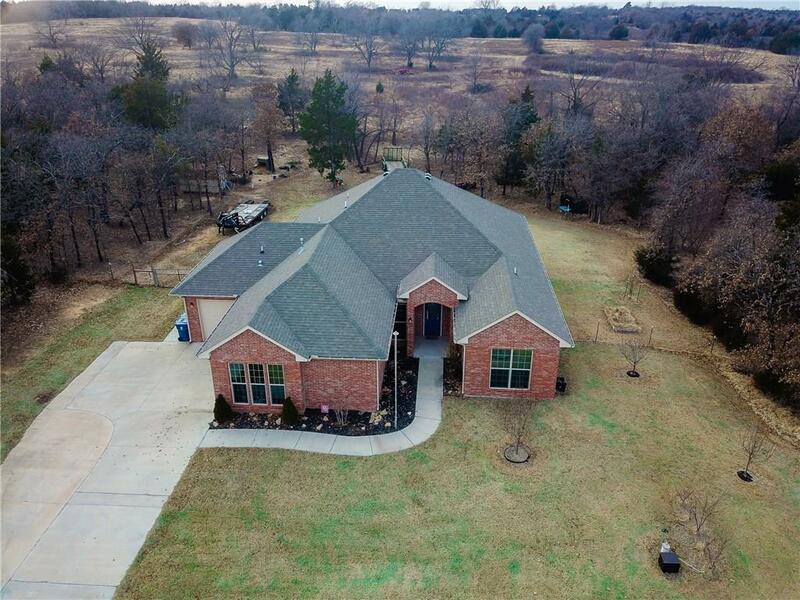 Country living w all the amenities, 22-minutes Tinker AFB, 22-minutes to downtown and 20-minutes to Edmond. 2 miles to Dollar General and 5 miles to Walmart! This home has everything you could want & more! Internet Service by TDS Telecom with HIGH SPEED Internet via FIBER directly to home. Wired w media distribution box allowing hard wired LAN connections throughout home for Smart TV's, computers, & gaming consoles. 14 sear AC, 95% furnace, R38 in attic, foundation insulated, gutters. Plenty of room for shop. 3rd single car garage separate from the 2-car. Open floor plan. 10 Foot ceilings. Huge Covered patio w room for outdoor kitchen. Upgraded Living Room Laminate Wood Flooring. Hot Tub 220 Plug & Hot Tub. Additional 220 outlet for RV hookup. Established fruit trees, Black walnut, cedar, oaks, elms & persimmons. In ground storm shelter in the garage. Established weed free yard sprayed twice a year. Buyer to verify.